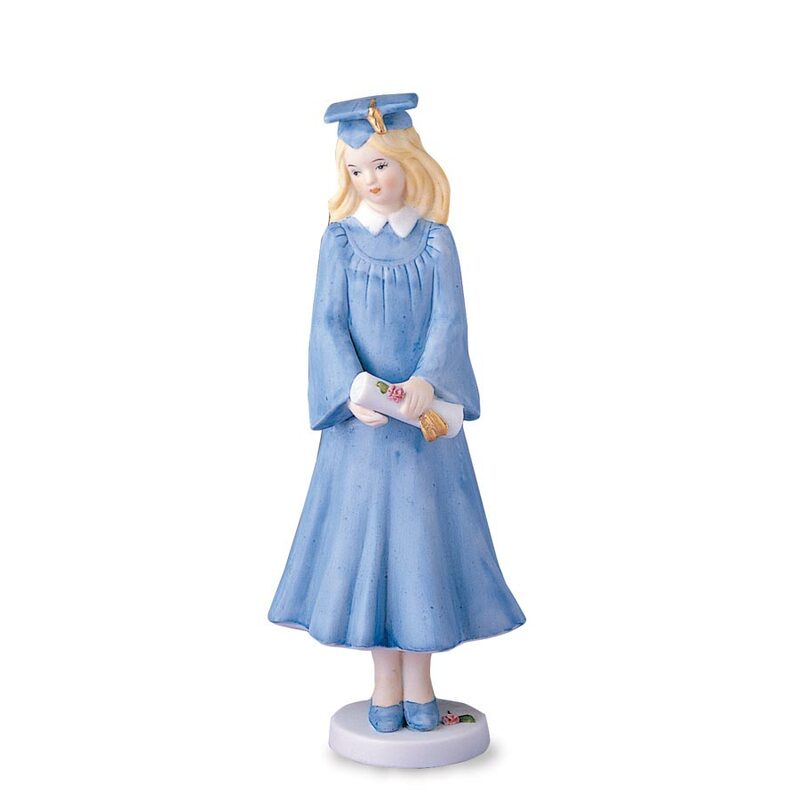 The blonde graduation girl figurine from the Enesco Growing Up Girls Occasions collection is wearing a blue cap and gown and holding her diploma in her hands. The porcelain bisque figurine measures 6.25" tall. Also available in brunette. Top a celebration cake at the family graduation party with this attractive figurine! The Enesco Growing Up Girls Blonde Graduation Figurine was the perfect graduation gift for my cousin. The graduation figurine is a very high-quality glazed porcelain figurine, a beautiful keepsake. The Enesco Growing Up Girls Blonde Granduation Figurine is a perfect graduation gift. This high quality bisque porcelain figurine is a beautiful keepsake.